Google Glass goes on sale for one day today, stoking fears among privacy hawks that the wearable tech is a menace to consumer privacy. The one-day limited sale is part of Google's Glass Explorer program launched in 2012 to test the device before it's offered to the general market. Since it was unveiled two years ago, Google Glass wearers have stirred controversy, both legally and culturally. Google says it's still working things out. 10. You cannot drive with a television on your head. 9. Why pay $1,500 to let a corporation hack your eyes? 8. Say goodbye to using public bathrooms. 7. No one's ATM PIN will ever be safe again. 6. Google says it hurts your eyes and gives you headaches. 5. Guess what happens to people who videotape children? 4. How long do you think your friends will hang around? 1. Your life is too precious for Google to own. Consumer Watchdog has a point or two. Because the virtual display takes up about 15 percent of the visual field, a half-dozen states, like Illinois and West Virginia, have banned the device while driving. 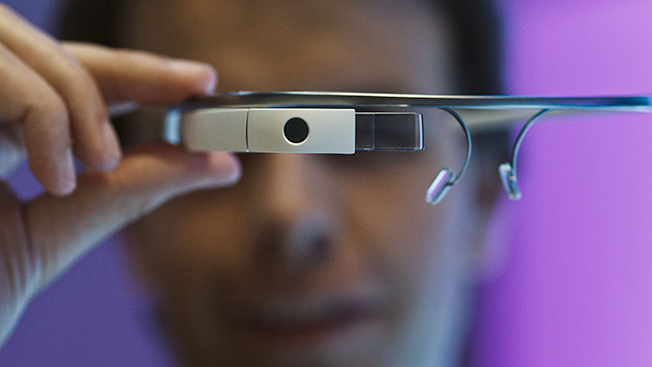 Google Glass has also been banned in some bars, casinos and movie theaters. Even Google has banned electronic devices at its own shareholder meeting. "Simply put, Google Glass is a stalker's dream come true," Consumer Watchdog's report concluded after demonstrating how Glass could easily be used to record PIN information from an ATM card. Consumers are already wary of the device, worried that Glass users could spy on them, then post pictures or videos on the Internet. A recent study found that 72 percent of Americans wouldn’t wear Google Glass because they are concerned about privacy and safety. In its FAQ, Google says those fears are exaggerated because the device has "explicit signals … to make others aware of what's happening." Washington policymakers are keeping eye on Google, which is under a 20-year consent decree with the Federal Trade Commission for privacy violations. Google knows its sci-fi-like device is being closely watched and warns its users to use some common sense while wearing Glass. "Don't be creepy or rude (aka, a 'Glasshole')," Google writes. "Respect others, and if they have questions about Glass, don't get snappy. … If you're asked to turn your phone off, turn Glass off as well. Breaking the rules or being rude will not get businesses excited about Glass and will ruin it for other Explorers."